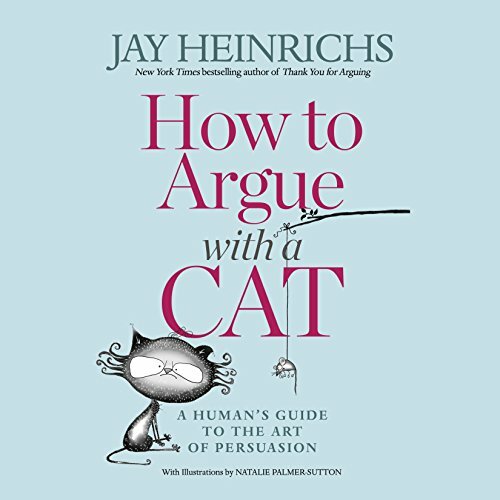 Learn how to persuade cats - the world's most skeptical and cautious negotiators - with this primer on rhetoric and argument from the New York Times best-selling author of Thank You for Arguing! While it's hard, persuading a cat is possible. And after that, persuading humans becomes a breeze, and that is what you will learn in this audiobook. Hold an intelligent conversation - one of the few things easier to do with a cat than a human. Argue logically, even if your opponent is furry and irrational. Hack up a fallacy (the hairball of logic). Make your body do the talking (cats are very good at this). Master decorum: the art of fitting in with cats, venture capitalists, or humans. Earn any creature's respect and loyalty.